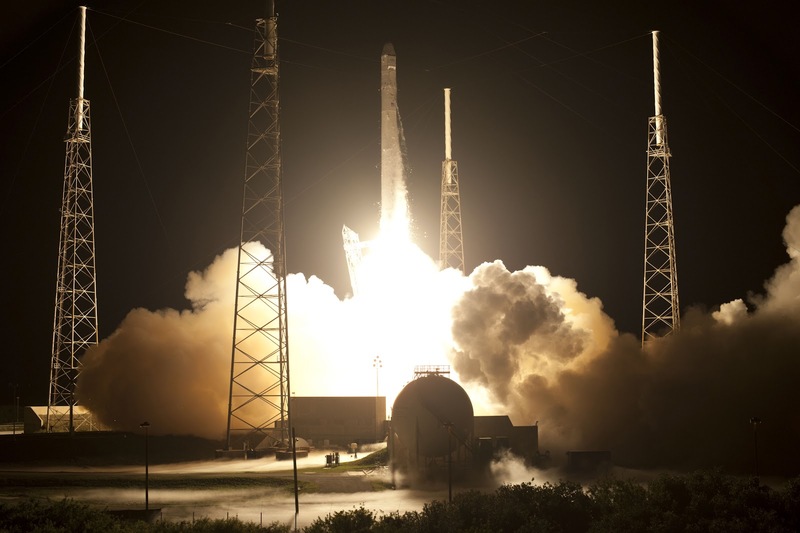 SpaceX’s Falcon 9 rocket and Dragon spacecraft blasted off from the Cape Canaveral Air Force Station on its fourth scheduled launch attempt on Tuesday, May 22. This flight marks a historic milestone for SpaceX as the first commercial company to resupply the International Space Station; docking with the ISS is something only a few nations have achieved. Cost-cutting measures and competition have helped to lower the overall expense of this supply mission, allowing NASA to focus on their future goals in the post-shuttle era. “Were really at the dawn of a new era in space exploration,” said Elon Musk, SpaceX CEO and chief designer. Musk compares this new phase in space exploration to the Internet, because it was also started by government and later propelled by private business to expand its influence and depth. The pitch black night of 3:44 a.m. was momentarily replaced by the brilliant yellow glow of liquid fuel igniting, as the Falcon 9 rocket blasted off from the Cape Canaveral Air Force Base. As launches go, this was considered textbook, with boosters solidly firing as the rocket left the gravity of Earth to enter low orbit. The successful launch is only the start of a complex mission for the Dragon Capsule as it continues to undergo its testing phase. Separation from the rocket and the deployment of the solar arrays quickly followed the launch and were observed as successful. Next is the critical rendezvous and docking with the ISS to exchange some basic crew supplies and return with cargo intact. Some of the launch supplies delivered include food, crew clothing, pantry items and cargo bags, as well as laptops, batteries, power supply cables and ice bricks, which are being swapped out for experimental samples. The total payload amounts to 1,146 pounds, or 520 kilograms. The return flight cargo will consist of plant signaling and S.H.E.R.E. (Shear History Extensional Rheology) hardware, which tests how plants and liquid polymers behave in space environments, according to the C.O.T.S. 2 Mission Press Kit. The return cargo will be increased to 1,455 pounds, or 660 kilograms. “Another super great day for SpaceX and NASA, and the beginning of another historic mission in commercial spaceflight,” said Alan Lindenmoyer, manager of NASA’s Commercial Crew and Cargo Program. Lindenmoyer is responsible for overseeing the budget resources for the Commercial Orbital Transportation Services (C.O.T.S.) program designed to bring about practical changes associated with commercial spaceflight. These goals are determined by NASA as part of its commercial crew program that SpaceX competed for and won back in 2006. SpaceX is given technical support and basic funding from NASA, as they continue to work on developing a stable rocket program and dependable delivery service. NASA is now solely dependent on the commercial crews to deliver re-supplies to the ISS, and are confident of the continued success of the C.O.T.S. program. 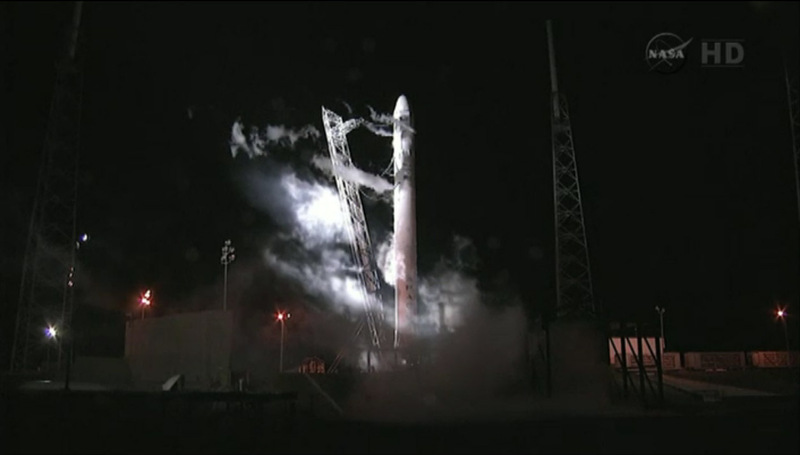 “We do have a lot of work left to do upcoming here in the next 73 hours or so,” said SpaceX president, Gwynne Shotwell. The craft will now have to carefully dock and resupply the ISS before returning safely hope for the mission to be considered a complete success. 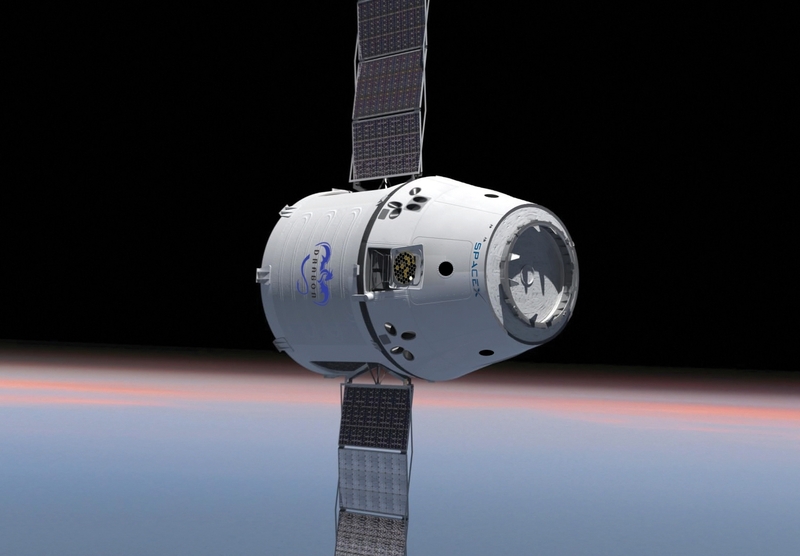 Eventually SpaceX hopes to take on manned flights to bring crews as well as supplies to the ISS, which will save NASA billions of dollars annually, and ends the reliance on the Russian space program. This also frees up financial resources, allowing NASA to further develop its new plans for space exploration and make better use of smaller budgets. A masterly composed musical entitled “Requiem For A Young Man” officially premiered at Valencia’s Performing Arts Center on May 10, after eight years of preparations by visionary creator and composer Ronald Owen. 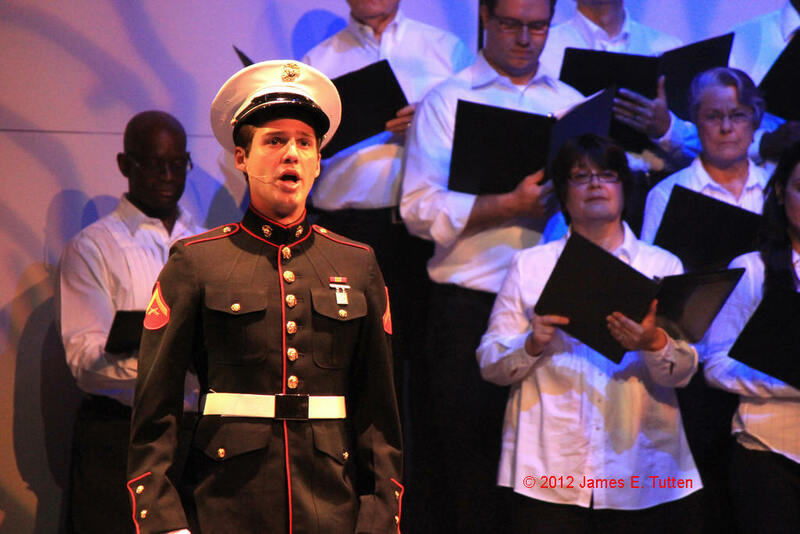 This touching tribute to the emotions of war was presented in a classic operatic style. The relatable archetypal characters and exceptional music compositions gives this concept all the foundations of the next great American musical. “This is for all of the service men and women who have ever served our country,” said Ronald Owen, writer and producer of the show. Originally this concept was meant to honor Vietnam veterans, but after more than eight years of development, it has grown to represent all members of the military and their families throughout modern history. The story follows the universal topics faced by a small family as their young son goes off to fight for his country. By not centering on a specific conflict or era, the story is left open to focus on what it means for soldiers and their loved ones, who are also facing the trials of war as they hope for peace in the future. Accompanying the musical performance of the lead actors was a 20 piece orchestra of strings, woodwinds, brass, percussion and a large choir. The music written by Owen is brilliantly refined and focused on moving this story in a clear direction. The songs have the technical arrangement quality of any professionally written movie soundtrack, and the feel of watching the live performance of a major motion picture, testified to this exceptional composition. The young man falls in love with his hometown sweetheart, but feels the drums of war calling him into service for his country. Tunes with an upbeat marching tempo positively introduce this character and his intentions to honorably serve his nation. Addressing this topic with his parents in operatic style, the young man pleads his case as his parents share their concerns, in hopes he will reconsider. This is a natural reaction that conjures sincere emotions and further validates the authenticity of the story. Several key segments of the production integrated elements of interpretive ballet dancing choreographed by Cuic Suarez. There was also strongly written war poetry read by a poet dressed in a full Marine uniform. 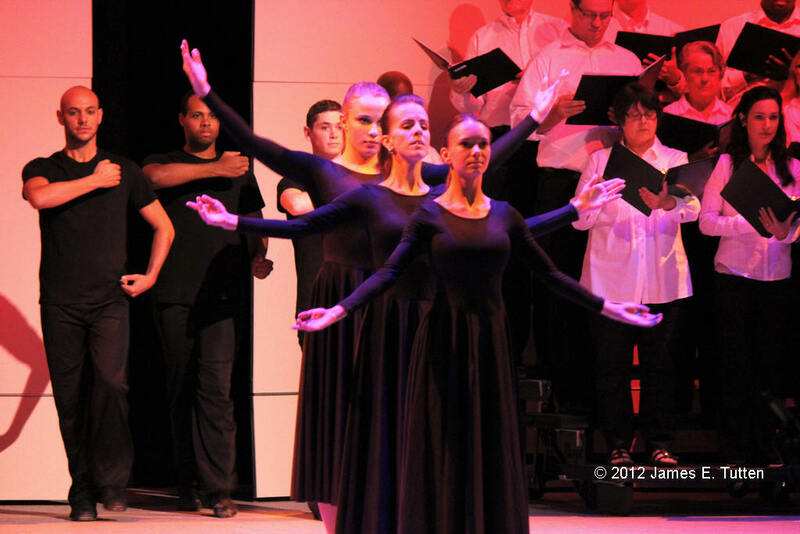 The unique dancing and poetic elements worked to strengthen the overall artistic value of this production. The young man goes to fight, and in a moment of confusion after assisting a fallen ally, he is mortally wounded in battle. His loved ones then have to come to grips with the cruel reality of this honorable sacrifice. Rather than becoming a tragic end, this outcome is turned into a representation of all the brave soldiers throughout history, and what it means to support them and their families after the fight. “It’s very powerful, I was almost brought to tears when the young man was shot,” said audience member Ariel Thomas. 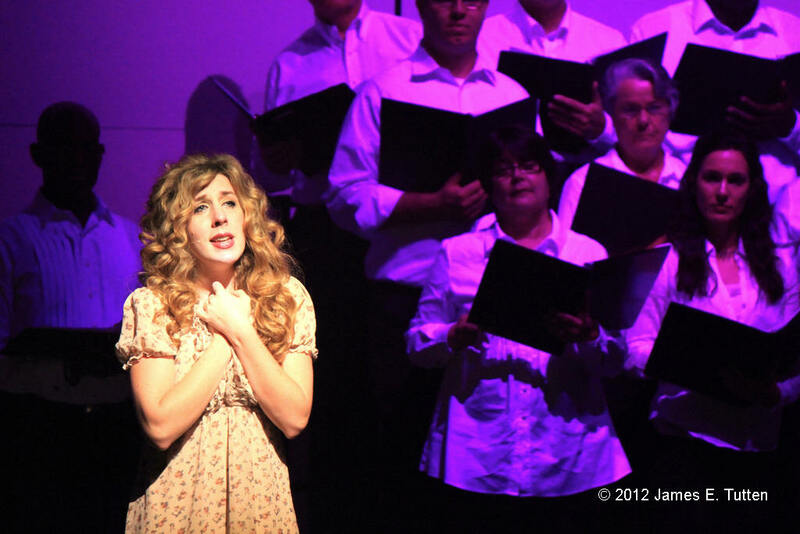 She also feels that the quality of this story and its music is at the high standards of any Broadway musical. The future of this production is now the big question to be answered. Organizers want to continue to perform the show in cities around the country to keep spreading the word, but its full potential could be much higher than that. The recent rise in popularity for musical themed entertainment can help to realistically lay the foundations for any studio to transform “Requiem For A Young Man” into a major motion picture. Any trained screenwriter could tie this brilliant musical score into a great film with a wide range of appeal. Though the future is currently unclear, the sky's the limit for this universally marketable concept. 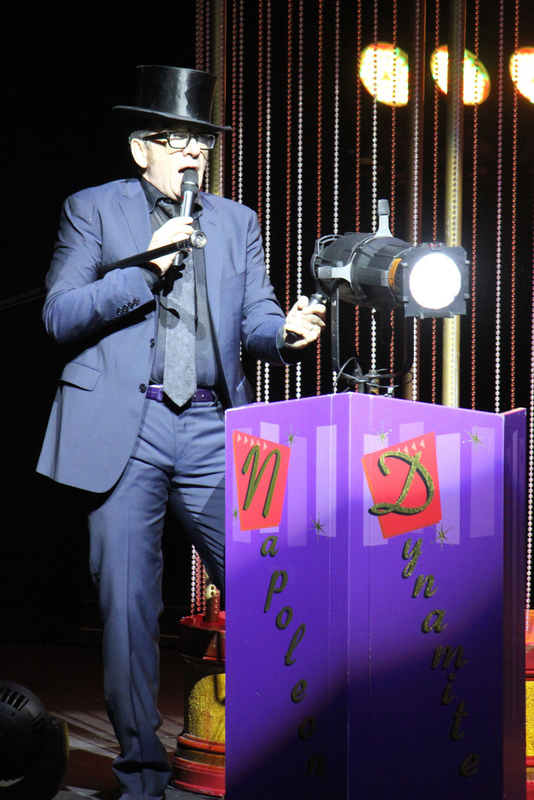 A wild and highly interactive musical performance thrilled the dedicated fans of Elvis Costello at the King Center for the Performing Arts in Melbourne, Fla., on April 23. 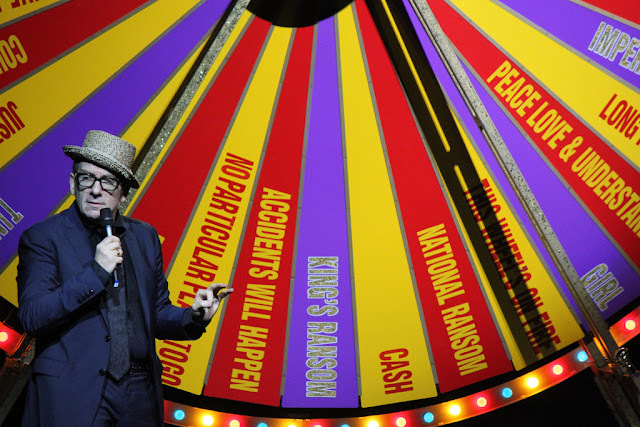 An uncommon mix of rock show and game show driven by the talented and unpredictable Costello made each stop of his 2012 “Revolver Tour” unique and exciting. Moments like this became a special treat for fans of Costello and his music. His charm and tranquil persona was highlighted with several quick-witted remarks while interacting with the audience. Random audience members were picked out by Costello during several moments in-between songs and asked to spin the multi-colored wheel. On different panels were written song titles and other themes that helped guide the direction of the show. His punk rock and new wave sound was classically refined, but still remains true to its stripped down roots. The band often strung several tunes together and played with a driving tempo topped by style-matching solos. A sound all his own, Costello’s music deals with the commonality of everyday life, and each song has a noticeably different style and direction. The pinnacle moment of the evening involved a drastic change in the direction of the show. During a solo performance Costello stepped away from the mic and sang as he strummed an acoustic guitar. The audience came to a dead silence as the acoustically designed theater reverberated Costello's unamplified voice. Though he had to sing a bit louder than normal, Costello’s trained vocals never cracked, and maintained a pitch-perfect tone. This unexpected showing captured the attention of everyone in the sold out crowd. One female fan picked out by Costello near the end of the performance actually enticed the majority of the audience to get up and start dancing. Unknown to them, this dance session became the final set of songs performed by Costello, in a fast paced continuous string of hits. Going from one tune to another, he kept people out of their seats as the crowd moved, cheered and demanded more. Thomas was with a group of friends that were self-proclaimed diehard fans of Costello. Many were not ashamed to openly admit owning, and possibly making-out with, a life-sized cardboard cutout of the man back in their younger days. Over 35 years in the music business, classic compilations with a variety of popular artists, and nearly 40 studio and live albums to his credit, is only one side of this talented artist. 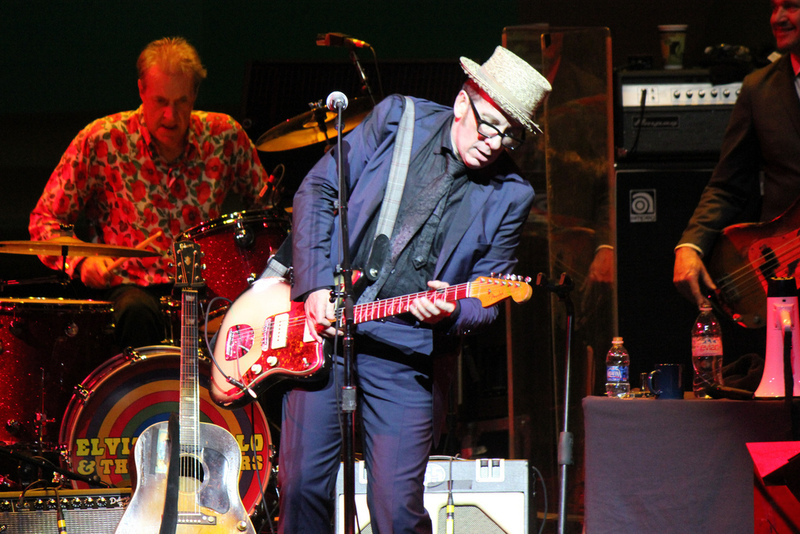 To fully appreciate what Elvis Costello brings to the world of music entertainment, you have to experience him live in concert. Classic charm and unpredictable style brings this titan of modern rock to the level of any great performer in his generation. 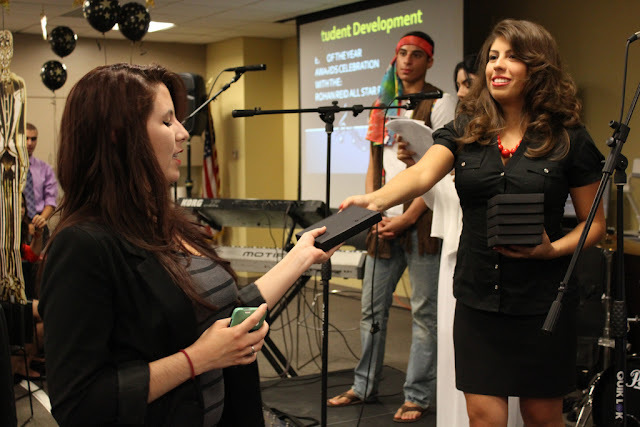 Valencia College student development presented major announcements about some exceptional people at the “Student Development Awards Celebration” on April 18. This party was held to acknowledge individuals that performed above and beyond expectation in their involvement in college organizations throughout the year. 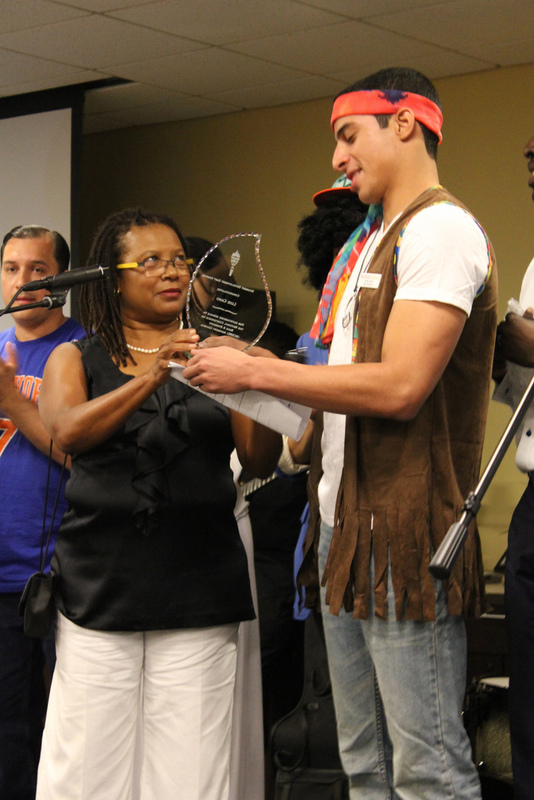 Former East Campus SGA president, Luis Cano, was given a surprise announcement near the beginning of the event. He was selected to be part of the Annual National Conference for Race and Ethnicity in American Higher Education (NCORE), which is a diversity awareness group that meets in New York to discuss issues of race in educational institutions. Cano is the first student from Valencia to be selected for this group. Part of Cano’s responsibilities will be working with specific issues that directly affect students involved with higher education. He will be one of four students chosen as representatives. Cano then announced the results of the East Campus SGA presidential election. Mike Acevedo was selected as president by a mere 12 vote margin in a record setting election of over 1,300 student votes cast. “It’s all about the work and what we put into it that matters,” said Acevedo. He says that he is focused on listening to the problems confronting the student body, and working with other campus groups and administrators to find solutions for issues that need to be fixed. 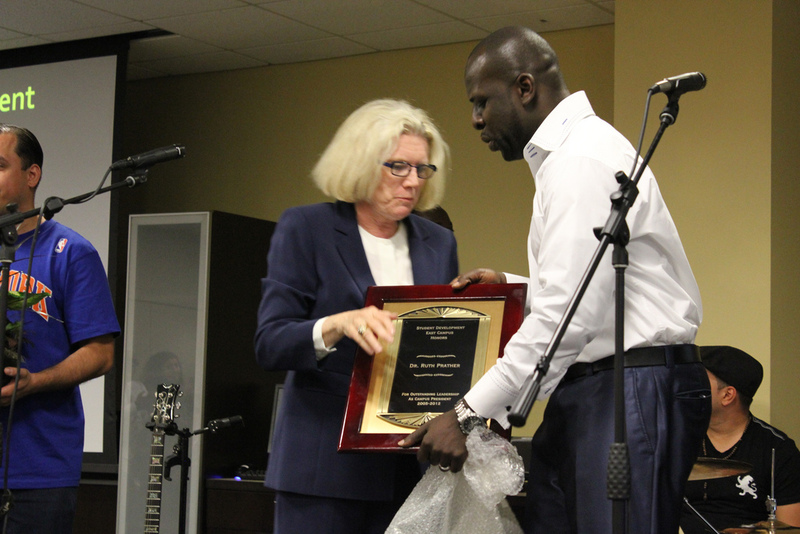 Another special award was given to Ruth Prather, East Campus president and head administrator, who will be retiring at the end of the semester. “Students keep doing wonderful things. I want to read about all of you and your accomplishments in the years to come,” said Prather after receiving her acknowledgment plaque from Student Development. Nearly 100 students were given small awards for exceptional service to the college community through the organizations they are involved in. Members of the Student Government Association, Phi Theta Kappa, Muslim Student Association and many more were honored. The Ceremony featured free food and live entertainment provided by the Rohan Reid All-Star Band. This event was just one of the ways Valencia acknowledges the exceptional students that help make the college community better through their extra work and dedication. Luis Cano is awarded and acknowledged for his acceptance in NCORE. East Campus president Ruth Prather receives a special award from student development to honor her work.